Yen-Wei Chen was born in Hangzhou, China in 1962. He received his B.E. degree in 1985 from Kobe Univ., Kobe, Japan. He received his M.E. degree in 1987, and his D.E. degree in 1990, both from Osaka Univ., Osaka, Japan. He was a research fellow at the Institute of Laser Technology, Osaka, from 1991 to 1994. From Oct. 1994 to Mar. 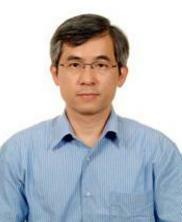 2004, he was an associate Professor and a professor in the department of Electrical and Electronic Engineering, Univ. of the Ryukyus, Okinawa, Japan. He is currently a professor at the college of Information Science and Engineering, and the director at the Research Center of Advanced ICT for Medical and Healthcare, Ritsumeikan Univ., Kyoto, Japan. He is also a chair professor at the college of Computer Science and Technology, Zhejiang Univ., Hangzhou, China. He was a visiting scholar at Oxford University, Oxford, UK in 2003 and at Pennsylvania State University, Pennsylvania, USA in 2010.His research interests include medical image analysis, pattern recognition. He has published more than 300 research papers. He has received many distinguished awards including Best Scientific Paper Award of ICPR2013, Outstanding Chinese Oversea Scholar Fund of Chinese Academy of Science. He is the Principal Investigator of several projects in bio-medical engineering and image analysis, funded by Japanese Government. Yin-Tien Wang received the M.S. degree from Stevens Institute of Technology in 1988 and Ph.D. degree from University of Pennsylvania in 1992, both in mechanical engineering. He is currently a Professor with the Department of Mechanical and Electro-Mechanical Engineering, Tamkang University, New Taipei City, Taiwan, where he is in charge of Robotics and Machine Vision courses. His current interests include real-time vision localization and mapping research and the transference of this technology to robotic and nonrobotic application domains. DO YOU WANT TO VONLUNTEER AS A SPEAKER?